If you’re a Telegram user and belong to one or more of those mega-groups, you might have come across several entertaining GIFs that you’d like to add to your collections. And Telegram lets you save such animated GIFs to your Telegram library, from where you can later send them to other Telegram contacts or groups. But what if you want to save or share these GIFs outside of Telegram, on social networks, like Facebook or WhatsApp? The iOS version of the official Telegram app does not allow you to save animated GIFs from Telegram chats to the Camera Roll, or share them to other platforms. And even though certain platforms like WhatsApp may have an integrated GIF search feature (courtesy of Giphy), it might not be possible to find the exact same file that you came across in a Telegram conversation. In this article, we’ll explore a few ways to save and share animated GIFs from Telegram to other social media platforms. Note: This article is especially meant for iOS users. Android users can directly download GIFs from within the official Telegram app. Just tap on the Kebab Menu (three dots) on the top right corner of a particular GIF within a conversation, and select “Save to Downloads” or similar option on your Android device. Fun Fact: Telegram handles GIF differently, by rendering it from a video (MP4) file, instead of the original GIF format. This provides a smooth animation experience within the platform. Though the official Telegram Messenger for iOS doesn’t allow you to save animated GIFs to Camera Roll, there are some third party alternatives that allow you to do so. Telepal for Telegram is one of them. 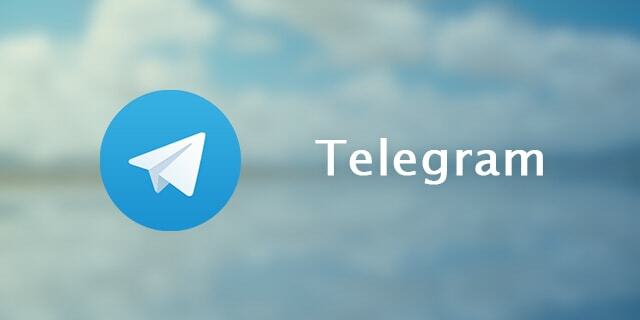 Telepal is a simple Telegram client, which is almost similar to the official Telegram app for iOS. However, the Share menu associated with the GIF viewer invokes the native iOS Share menu, which includes (among others) an Action Extension to save the animated file to Camera Roll. The following steps will guide you through the process. Download and install Telepal from the App Store. Log in to your Telegram account and tap on a particular GIF that you want to export. It should open in a new window, playing as a video file. Tap on the Share button in the top right corner to bring up the Share menu. Finally, tap on Save Video option to save the selected GIF as a video file, to Camera Roll. Note: If you want to stick to the official Telegram apps, there’s another way to save GIFs from Telegram; however, it requires the official desktop client. Telegram Desktop includes the feature to save GIFs as MP4, from individual conversations, on computer, using the “Right Click >> File Save As…” option. Once saved, you can transfer the file to Camera Roll on your iPhone or iPad. From iOS Camera Roll, you can share the animated video on any supported platform. If the file is sufficiently small, platforms like WhatsApp (e.g., 6 seconds or less for WhatsApp) can automatically convert videos into GIF while sharing them. If your video exceeds that limit, some third party apps can help you to convert it into GIF. Later, you can share the same on your favourite messaging platform. Was this article helpful enough? Let us know in the comments below.